People say mean things all the time. But that doesn't make it acceptable. In fact, mean words and phrases are often one of the most hurtful forms of bullying. Yet they are the most difficult to recognize. Many times victims of bullying do not even realize the insidious nature of these words and phrases. But identifying them for what they are is a critical first step in preventing bullying. If your teen has a friend who uses these phrases frequently, it is important that she is able to see through the words to the intent behind them. 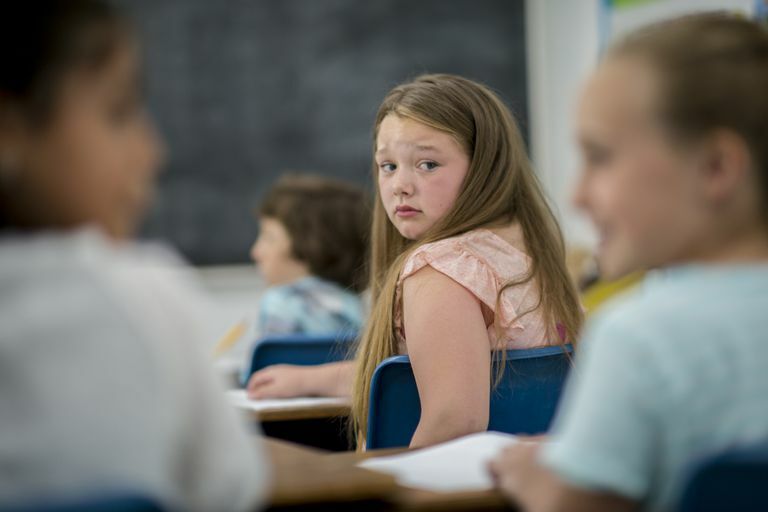 Here is a list of the five most commonly used phrases bullies use to avoid taking responsibility for their bullying behavior. When someone says “my bad,” they are admitting to a mistake without truly apologizing for the hurt they caused the person. What’s more, this expression makes light of a mistake rather than sincerely apologizing to someone. Saying “my bad” is the verbal equivalent of shrugging when someone points out that a statement or an action was hurtful. Telling someone to “chill out” or to “relax” is the same as saying “your concerns or your feelings are not valid.” It also minimizes the feelings of another person and communicates that the person is overreacting. It also causes victims to doubt themselves and their perceptions. When bullies are confronted about their behavior and they respond with “chill out,” they are are engaging in blameshifting and are subtly telling their targets that their feelings are not valid. The message is that there is something wrong with the victim’s reaction and not the bully’s actions. When someone responds with “whatever,” what they are really saying is “I don’t care,” or "what you are saying does not matter to me." The phrase is immediately dismissive and brings an end to the conversation. It also communicates that the bully or mean girl has no interest in what the other person is saying. Kids use the word "whatever" because it is convenient and lets them off the hook. They also tend to use it when they know they are to blame for something but do not want to take responsibility. It’s a final attempt to get back at the other person in some small way for something. Once someone adds a “but” to an apology, it is no longer an apology. The reasons that follow the but essentially cancel out the apology. Basically, the bully is giving reasons for the behavior, which communicates that they feel justified in hurting another. Additionally, many times the bully's reasons will include a list of things the victim did to somehow “cause” the bullying. But remember, no one is responsible for a bully’s choices but the bully. Many times, bullies will use this tactic to shift blame or to avoid taking responsibility for the pain they caused. Basically, this phrase is a form of self-preservation. Keep in mind, a true apology does not include justifications for bad behavior but is instead meant to restore the relationship with the other person. “Just kidding,” and “no offense,” are phrases mean girls and bullies use to hurt other people without having to own up to what they are saying. To most people, these phrases seem fairly harmless. But in reality, they allow a bully to make a little jab at another person without any consequences. If victims fight back against a mean joke, they might hear things like: “It’s just a joke!” “What’s your problem? Can’t you take a joke?” and “I was just kidding!” This logic allows kids to deny responsibility for their rude behavior. And the victim of bullying is silenced. Most of the time the victim goes along with the joke despite the pain it causes. All of these statements have one thing in common. They are typical responses from bullies when confronted. They are dismissing what they said or did as a joke or responding with “whatever,” “my bad,” or “chill out.” They also are showing a lack of remorse for the hurt they caused to a victim of bullying. The underlying goal of these phrases is to discredit the victim, to silence her and to divert attention. Bullies also are attempting to regain control in the situation. And, the end result is that kids targeted by bullying feel even more victimized because their hurt is discredited.